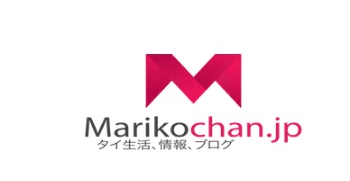 We are pleased to be featured on Mariko Chan Blog. It’s a famous Japanese blog on Thailand and the life of expats in Thailand. She was born and raised in Japan and lived a very conservation traditional life. She would dream of overseas life and working abroad through her teens. It turned into reality when she got married. She moved to Thailand few years back and decided to write a blog to help educate the Japanese coming and living here in Thailand. 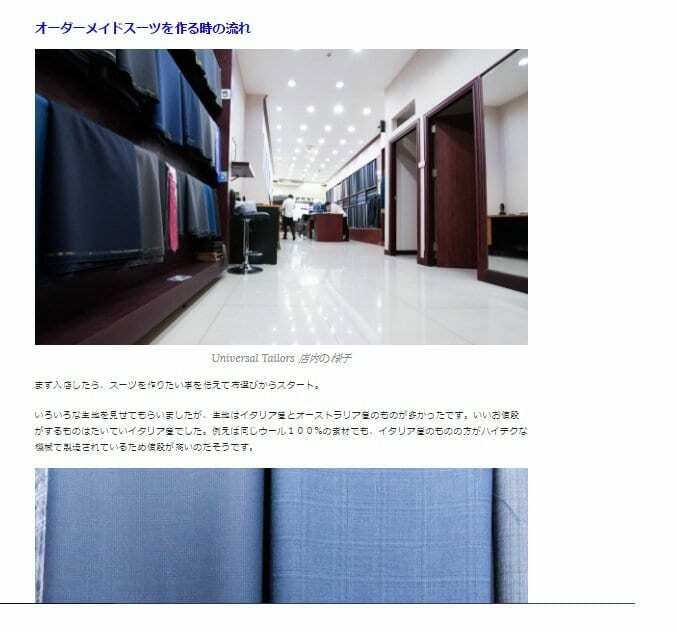 When she approached us to write a blog on Universal Tailors, we were more than happy. She started off explaining about the tailoring scam in Thailand and how the market is flooded with cheap tailors. 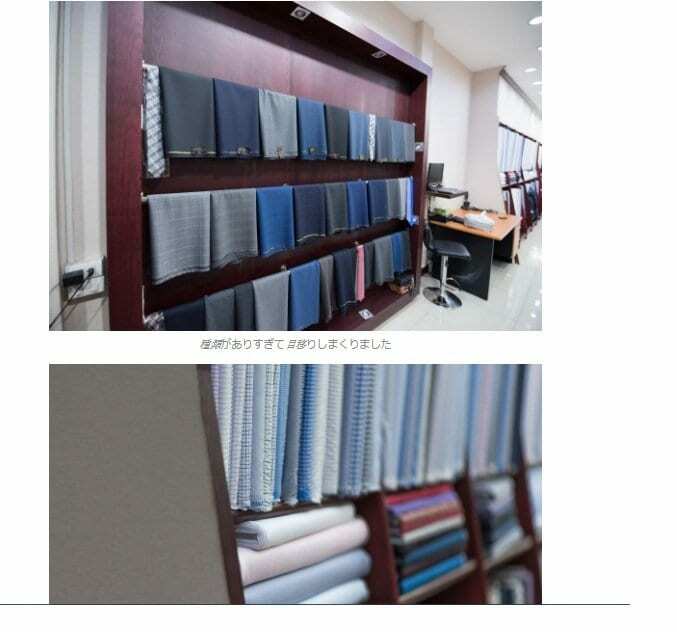 Then she pointed how on why she chose Universal Tailors and the step involve in getting a true handmade bespoke suit. 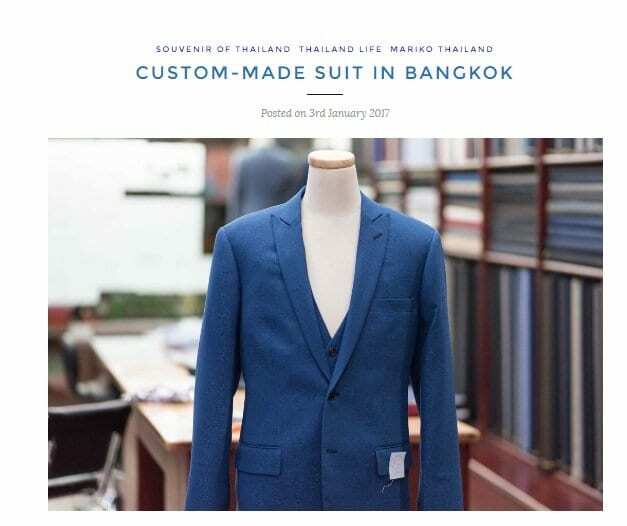 Mariko’s husband decided to make a royal blue hopsack three piece suit. It is indeed a beautiful fabric to beat the heat in Bangkok. The hopsack is a loose weave all wool fabric which allows easy passage of air through the fabric. The slim modern fitted hopsack three piece suit looks magnificent on her husband, Thomas. Thanks to Mariko for the in detail explanation on how to reach us through skytrain from Chongnonsi. It would indeed be a great help to the reader. The BTS skytrain is definitely the way to beat the crazy Bangkok traffic.